Known as the Asian Swallowtail, the yellow-colored Swallowtail butterfly can be found throughout northeast Asia, northern Myanmar, and even the Hawaiian Islands. Now you can capture your own with this realistic sofubi vinyl figure. Made from soft vinyl, this figure features the 5th instar stage of the Swallowtail butterfly transformation! 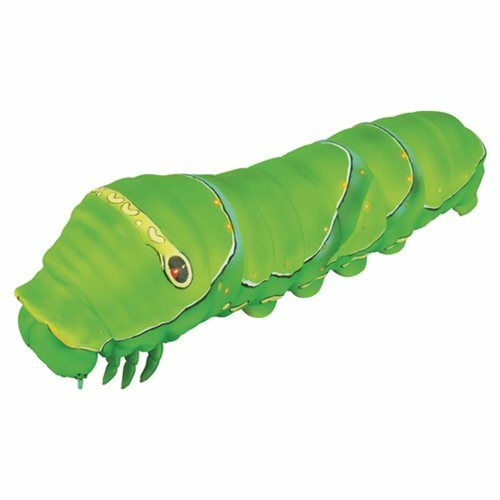 This Toy Box Asian Swallowtail Larva Sofubi Vinyl Figure measures about 9-inches long. Ages 15 and up.